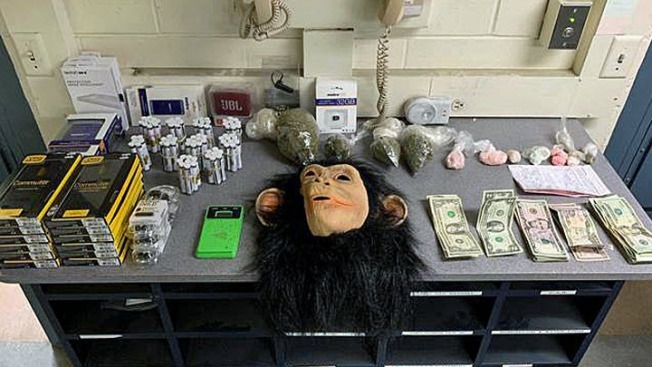 A routine traffic stop turned into a significant bust for Alameda police earlier this month as officers found the vehicle occupants in possession of drugs, large quantities of cellphone products, a mask and cash, according to the police department. On March 8, officers pulled over a vehicle for a broken license plate light, and during the stop, they determined the passenger was the registered owner of the vehicle, not the driver, police said. The passenger also was on probation for narcotics and weapons possession, which prompted the officers to search the vehicle, police said. They found methamphetamines, hashish and marijuana packaged for individual sales, plus large quantities of cellphone products, a mask and cash consistent with narcotic sales. The passenger was arrested for narcotics possession, probation violation and transportation of narcotics with the intent to distribute, police said. The driver was cited and released for driving a vehicle on a suspended license.